Frost Roofing did a good job for me! Every meeting with Gabe was positive and his workers are amazing! Frost Roofing came out the same day and was very professional and courteous. Gabe gave us the estimate and we had a new roof on within a week! The crew only took one day and really took care of me! They left behind not a single piece of debris and made my home look new again! Gabe was very professional and did exactly what he said he would do! His crew was neat, hard working and professional. Everything went smoothly! His crew was nice, neat and professional everything went smoothly. Mr. Frost was very quick to reply to our request for a camera security system. He arrived at our property the following day and we immediately had a firm quote and contract. Our system was installed within one week. We have received top quality, custom service from Gabriel. We truly appreciate his strong work ethic and honest demeanor. Gabriel called before our first appointment, went out of his way to accommodate my timelines, offered a fair bid for the work, and delivered on time. His installation conducted by Tim was very professional and he came back to make sure everything worked properly. In this day and age, service like this is unheard of and this company delivers it every day. 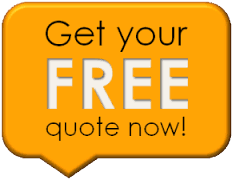 We cant say enough about Frost Roofing, just a real straight forward and honest process. Our guy (Wade) explained our options and gave us an estimate the same day. After hiring Frost Roofing we received a beautiful new metal roof in about a day and a half. Thanks to the Frost team. We hired Frost Roofing because our gutters were falling off the house. We went with the new seamless gutters and the workers finished in one day. We love our new gutters. Thank you for handling our new roof job. You really made it easy for us. I would highly recommend Frost Roofing.